Hello all! 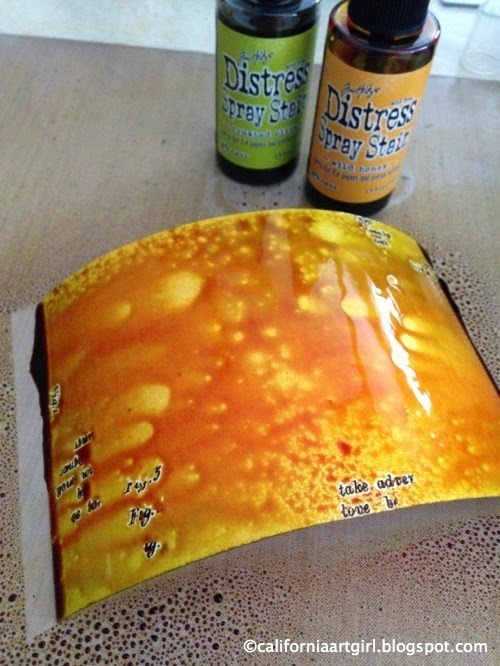 I'm very excited about my project today because as you might know Tim Holtz has just released 28 new Distress Spray Stains! I have to say after playing with them I'm totally in LOVE. I was a big fan of Color Wash so I wanted to see how they compared. Off to the studio to play. 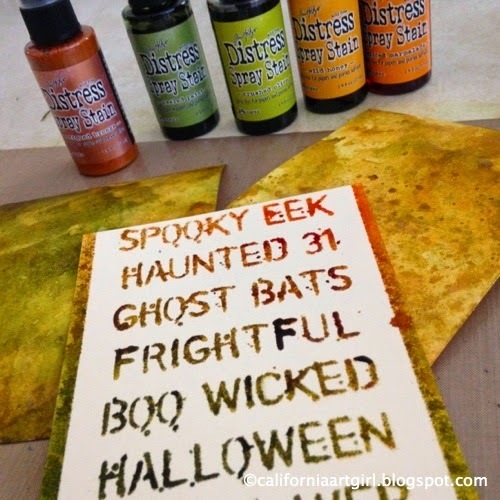 I really love the way the Tim Holtz Distress Spray Stains dance on the surface of the paper, they are highly pigmented so you get vivid colors and the sprays have the same properties as Distress Ink which means they are reactive with water. 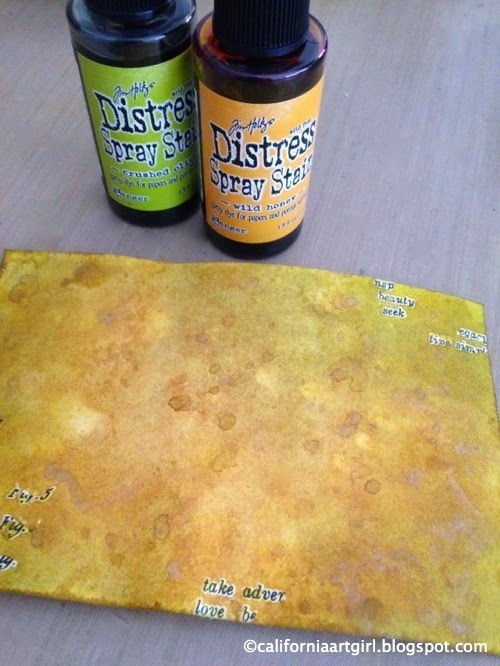 The new Distress Spray Stains work with Layering Stencils, direct to paper, in conjunction with Texture Paste, you can make a smooth background or a dotted background, color ribbon….doesn't get much better that that! 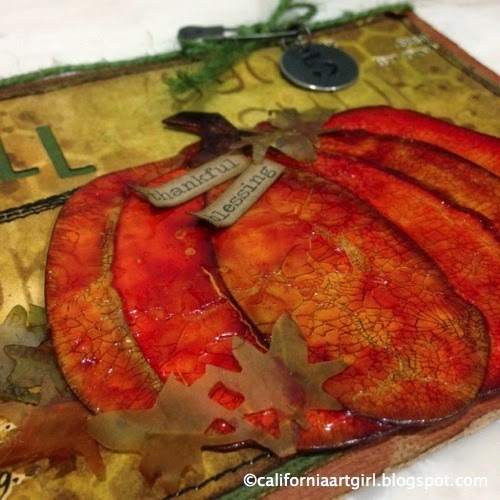 Sit back relax and enjoy the fall project! Rub on a few Remnant Rubs in various places on the Manila Cardstock. 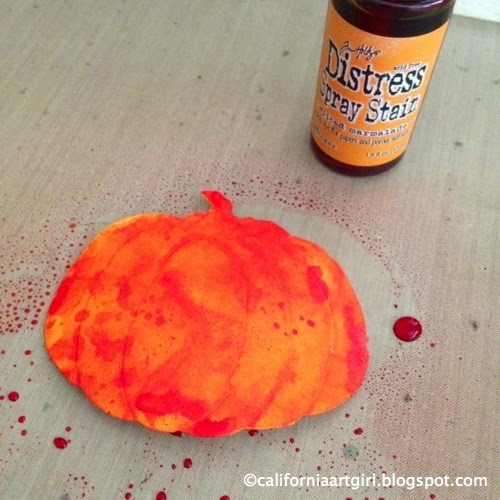 Spray the Distress Spray Stains directly on to cardstock, dry with a heat tool. 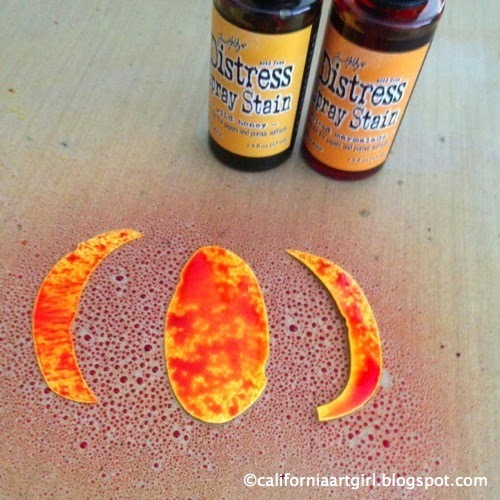 Pick up extra ink from craft sheet, dry again with heat tool. Repeat as desired. 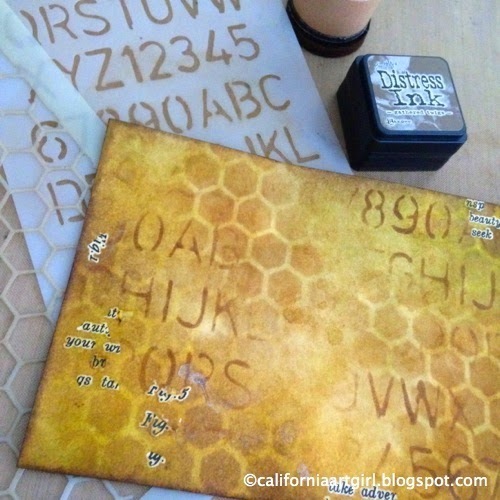 Position Layering Stencils and ink with Gathered Twigs Distress ink on an Ink Blending Tool. 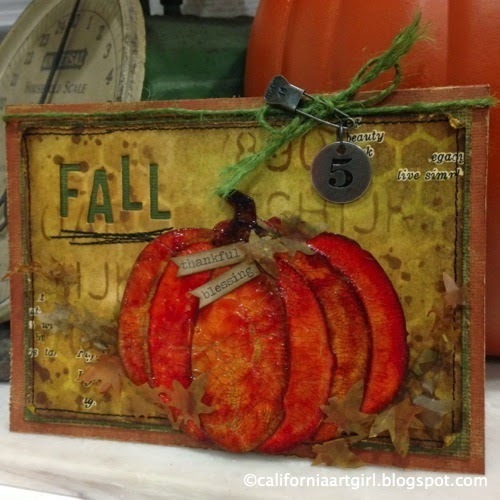 Die cut pieces using the Pumpkin Parts Bigz die from Distress Watercolor Cardstock. 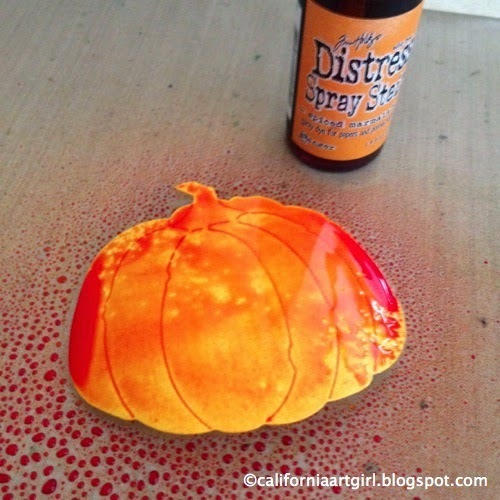 Spray the main pumpkin with Spiced Marmalade. 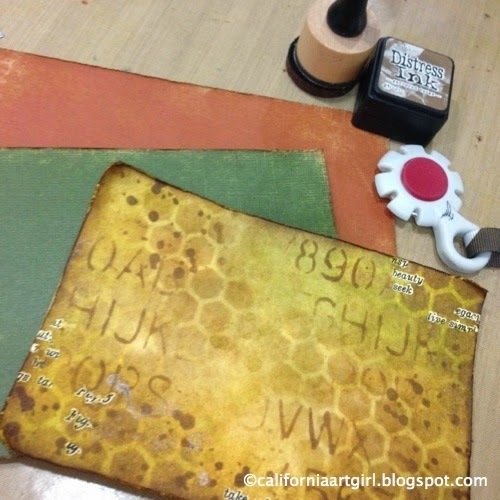 Color the segment pieces with Wild Honey and the stem with Vintage Photo. Ink the edges with Gathered Twigs Distress Ink on an Ink Blending Tool. 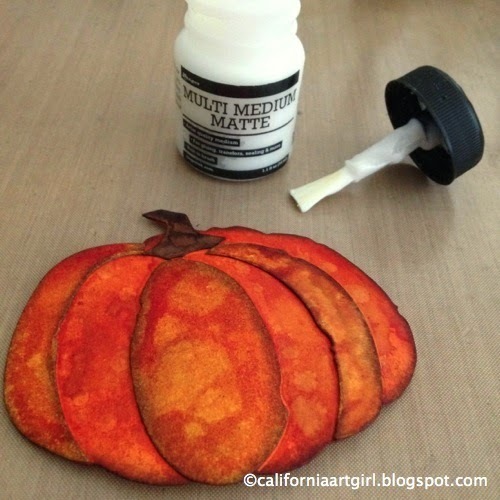 Build your pumpkin adhering the layers with Multi Medium and let dry. 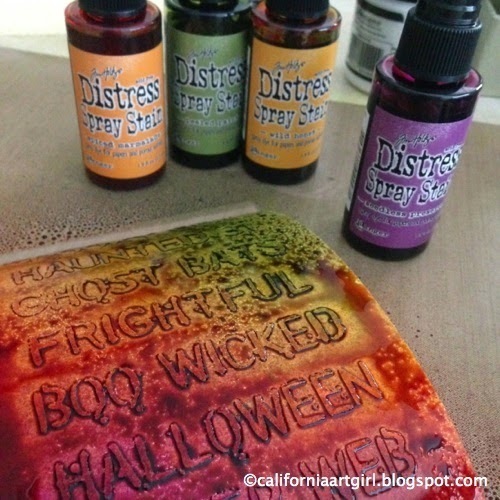 Apply a generous layer of Clear Rock Candy Distress Crackle Paint and set aside to dry. 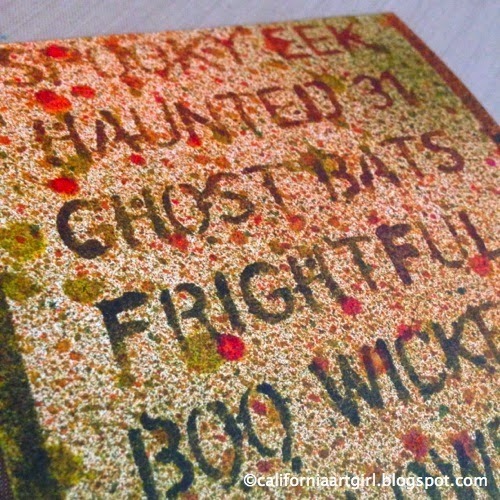 Once the Crackle Paint is dry ink the cracks with Gathered Twigs Distress Ink on an Ink Blending Tool. Die cut two branches from Wallflower Vellum using the Spring Greenery Decorative Strip. 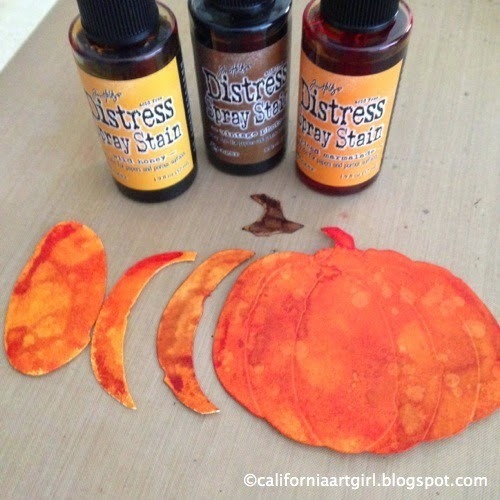 Color the branches with Crushed Olive, Spiced Marmalade and Peeled Paint Spray Stains, let dry. Cut a base card and mat from Kraft'core Cardstock. 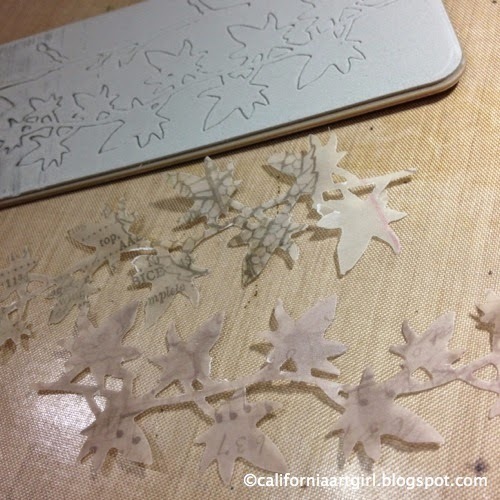 Sand the edges with a Sanding Grip. 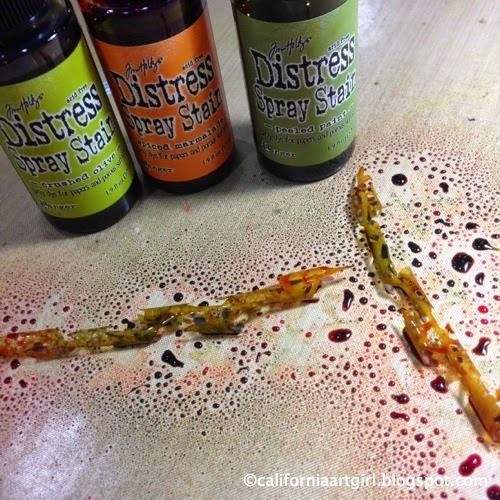 Distress the edges with a Paper Distresser and then ink with Gathered Twigs Distress Ink on an Ink Blending Tool. 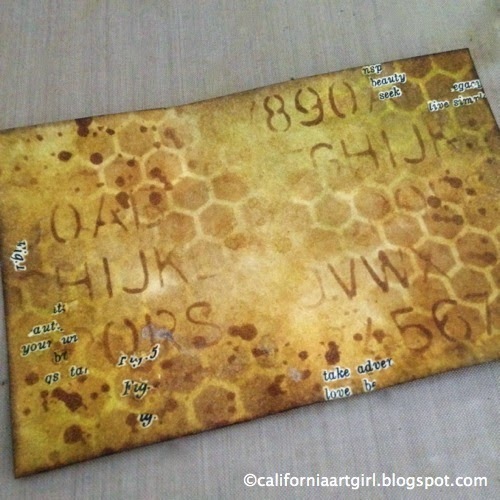 Here is another new favorite…the new Alphanumeric Thinlits…oh my! These are going to be soo fun! 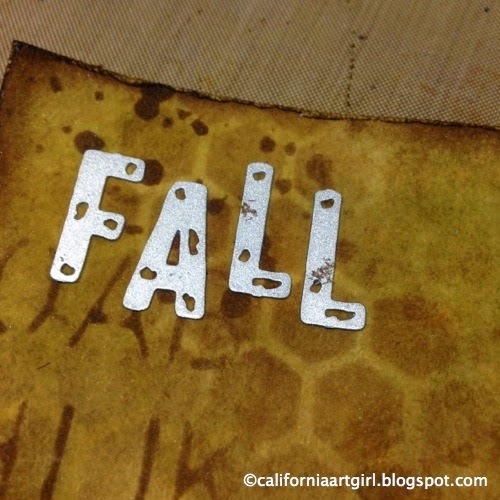 I chose the word "FALL", positioned it, held them in place with a piece of Tissue Tape and ran it through my Vagabond to die cut the letters. Oh the possibilities are endless! The Alphanumeric comes with 125 thinlits for around $20.00…now that's a bargain! 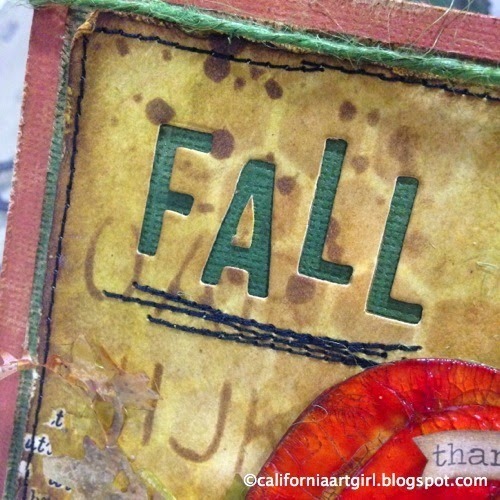 After I die cut the word "FALL" I did a little stitching with black thread on my sewing machine. Stitch under the word a few times and around the card. Adhere all the layers together. 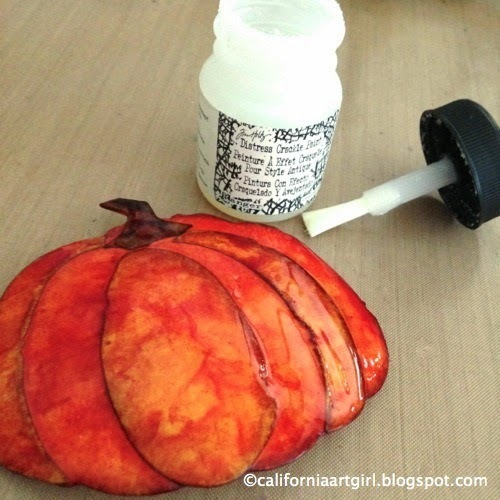 Use foam tape to adhere the pumpkin. Adhere the little branch with Multi Medium. 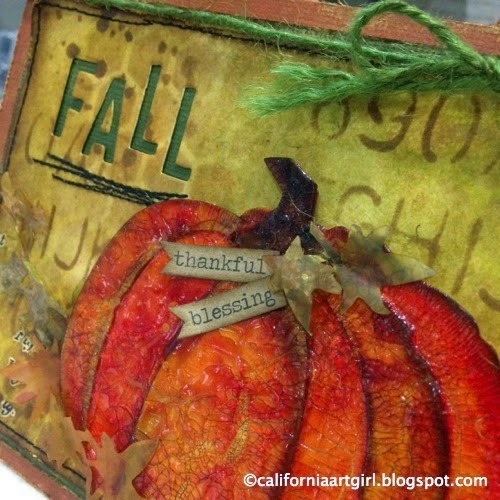 Add a few Chitchat words from the seasonal pack and don't forget to ink the edges. 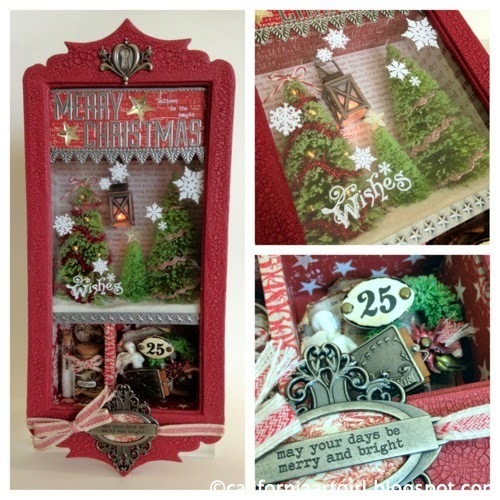 Tie a bow at the top of the card with Jute String, attach a Countdown Coin with a Trinket Pin and a Jump Ring. 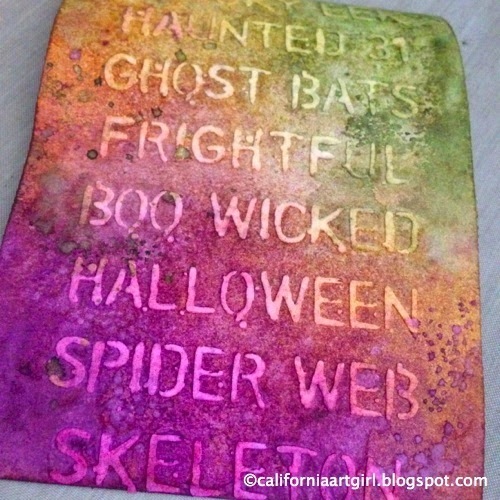 So much to love…Distress Spray Stains, Layering Stencils, Crackle Paint, Alphanumeric and…what will be your next favorite?? Thanks for coming by, I'm so thankful you did! 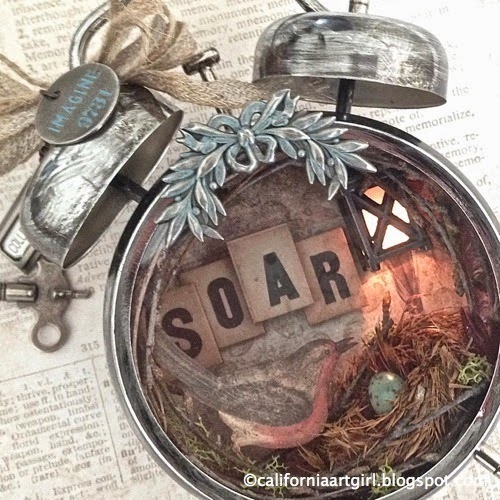 If you're looking for the goodies I used…. Visit Simin Says Stamp! Hello friends! I have a few stores I'll be teaching at this month. 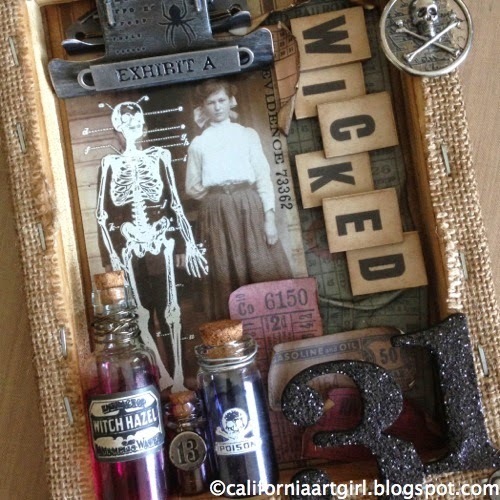 September 12th and 13th at Scrapbook Island in San Jose, California. That's this weekend! I'm so excited! I know there is a few spots left and you won't want to miss out. 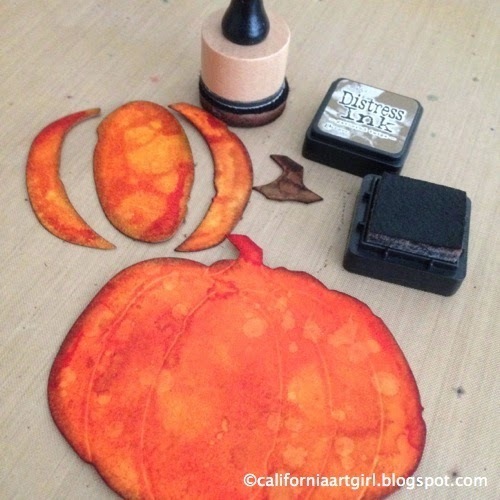 All workshops include everything to create your projects from supplies to inks and paints! Just bring your favorite pair of scissors! 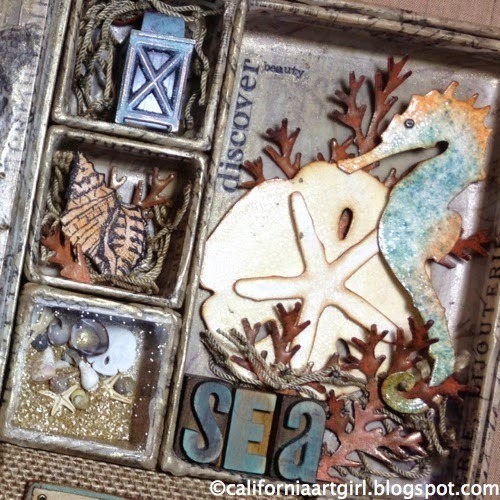 Click on the title links for more information and to register for class at Scrapbook Island or give the Island gals a call at 408-978-8900. September 20th and 21st I'll be teaching at Stamp Asylum in Plano, Texas. Give the store a call for more information.